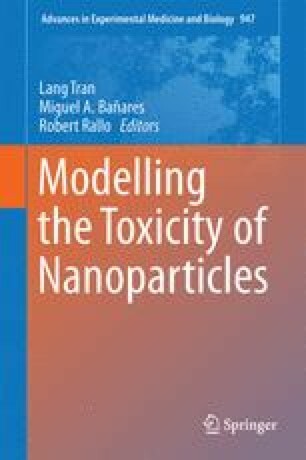 Adverse human health impacts due to occupational and environmental exposures to manufactured nanoparticles are of concern and pose a potential threat to the continued industrial use and integration of nanomaterials into commercial products. This chapter addresses the inter-relationship between dose and response and will elucidate on how the dynamic chemical and physical transformation and breakdown of the nanoparticles at the cellular and subcellular levels can lead to the in vivo formation of new reaction products. The dose-response relationship is complicated by the continuous physicochemical transformations in the nanoparticles induced by the dynamics of the biological system, where dose, bio-processing, and response are related in a non-linear manner. Nanoscale alterations are monitored using high-resolution imaging combined with in situ elemental analysis and emphasis is placed on the importance of the precision of characterization. The result is an in-depth understanding of the starting particles, the particle transformation in a biological environment, and the physiological response.